Are you looking to go bold with a paint colour, but can't quite imagine how it will look on your walls, want to choose the best paint shade to suit your room, or are considering a new colour for your home's exterior? 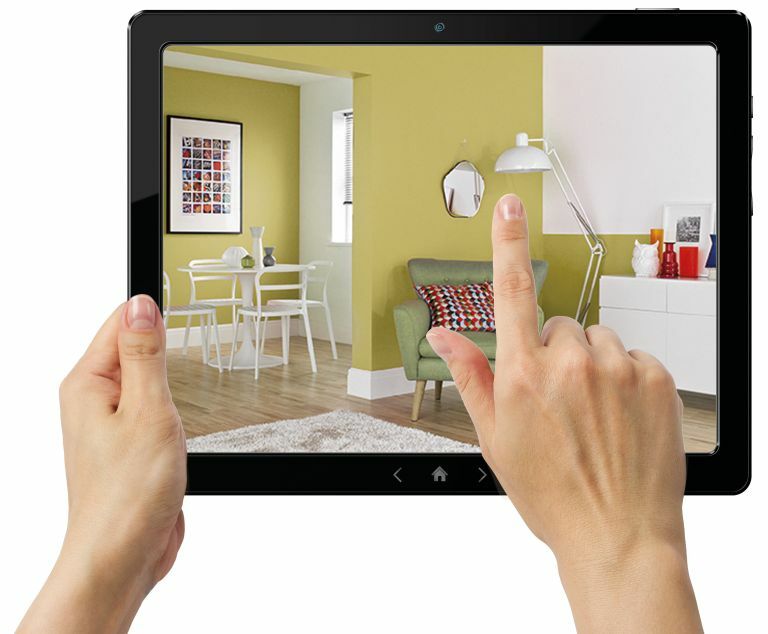 A modern age of decorating is upon us: Crown has made visualising your soon to be decorated home a whole lot easier with its MyRoomPainter app. Simply photograph and upload your project, and use the app to change the colour of the walls, testing out as many different Crown, Sandtex and Sadolin colours as you like, before you buy. What's more, you can try out colour combinations using the colour picker, or find exactly the right shade with the colour-match feature. When you've found your favourite, save it to your wish list ready for decorating! The app includes many other tools, such as colour scheme suggestions, a paint calculator to work out how much you need, a store locator and a library full of inspirational rooms. Available free from Amazon, for Apple and Android smart phones.